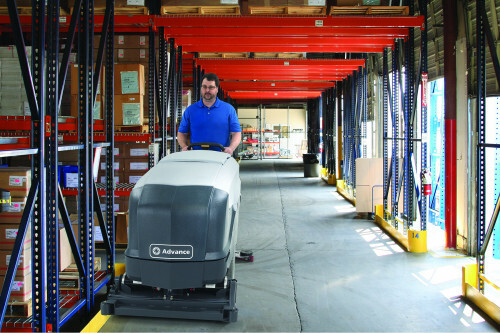 When the job needs to get done, rely on the Advance SC900 walk-behind scrubber. The SC900 is a tough, efficient, dependable floor scrubber. The control board-free scrubber won’t need expensive repairs due to its simplistic design. The scrub and vacuum levers are both mechanical, making them user- friendly and more reliable. Yellow touch points make it easy for the operator to find key areas on the machine, reducing potential operator errors. 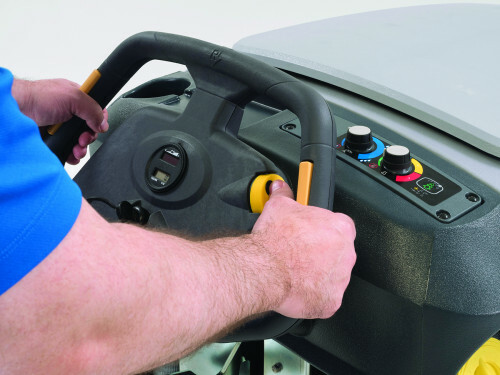 Operating controls are straightforward, making for easy use and quick training. The cruise control is clearly visible and is easily operated by the touch of a thumb. Reverse the machine with a single button located on the back of the handle. This is all backed by a motor that provides years of powerful service without trouble. The SC900 is perfect for government buildings, general warehouses, and manufacturing plants with its amazing durability and user-friendly operations. 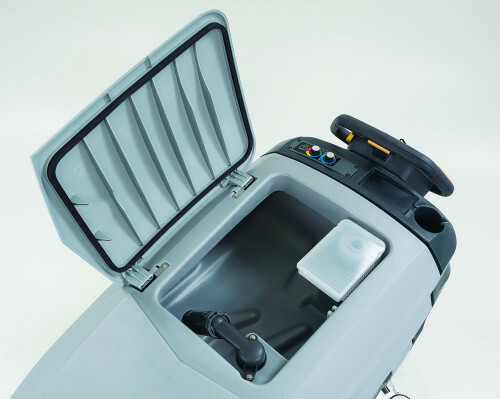 The SC900 has a large recovery tank lid that gives you the ability to see the entire tank when cleaning it out. The lid utilizes press in gaskets that makes gasket replacement a breeze and ensures a great seal. The debris catch bin inside the tank reduces the chance of a clogged drain hose by collecting the debris before it can settle to the bottom of the recovery tank. The control system on the SC900 is simple and rugged. This scrubber is designed to withstand rough applications and stand-up to operator abuse. Most of the operations are mechanical, with lever actuation and potentiometers instead of push buttons.